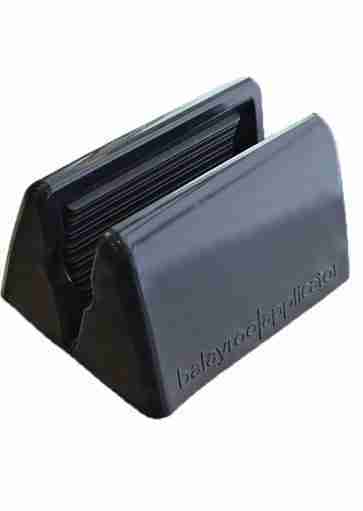 Balayage applicator for professional hair stylists. After over 10 years working as a color specialist, the patent pending balayroo® applicator was invented by Dana Bremner in order to revolutionize the in-salon balayage treatment. The balayroo applicator gives stylists at any level the ability to provide their clients with a quicker, cleaner, and more natural balayage treatment while drastically cutting down the time needed. By using the balayroo applicator, you are able to give your clients a better, more consistent color application resulting in happier customers and an increase in referrals. A new tool that not only cuts down on application time, but also delivers less messy, more even color application and better balayage results. With balayroo a color service that would normally take an hour can be done in 15 to 30 minutes.